Well weighted oak brings its own spiciness, with plenty of black pepper and good fine tannin. The wine has a full, viscous texture and an ultra- long velvety finish. The Shiraz vines grow in ancient, well-weathered granite soils on south and southeast-facing slopes. In total, six clones of Shiraz can be found on the farm and only the best performing clones in each year go into the final blend. Each clone contributes different characteristics to the wine and the different blocks are picked at varying degrees of ripeness, best suited to their character. This ensures a dynamic wine of superior quality. Highly selective hand picking guarantees that only the best fruit arrives at the winery. Vinification: After being chilled overnight, the fruit is bunch sorted before being destemmed and berry sorted. No pumps are used and the sorted berries are conveyed directly into open-top fermentation tanks. 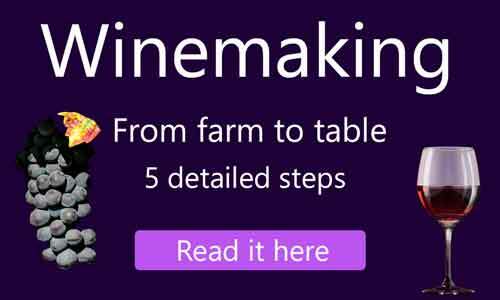 An initial period of cold soaking is applied before fermentation to prolong the maceration period, and promote gentle tannin and aromatic extraction. During natural, wild yeast fermentation, hand plunging is the method of mixing and extraction. After fermentation, extended maceration takes place for at least two weeks. All wine is transferred directly to barrel where malolactic fermentation takes place. Only bigger French oak barrels are used, with about one third new and the rest 2nd- and 3rd-fill. The wine is allowed to mellow for 16 months before final selection and blending. After blending, this superior combination is allowed to integrate for a further 6 months before bottling. Tint: Rich deep red / purple colour. Aroma: The wine has an opulent nose of juicey plums and sweet blackcurrants. Interlaced with this are hints of spicy cloves, nutmeg and coriander seeds. Flavour: Well weighted oak brings its own spiciness, with plenty of black pepper and good fine tannin. The wine has a full, viscous texture and an ultra- long velvety finish. Food Pairing: A de-boned leg of lamb barbequed over a hot bed of coals or a hearty Burgundian-style beef casserole. For a vegetarian alternative, thickly slice pumpkin, aubergine, baby marrows and baby potatoes into a shallow casserole. Add sun dried tomatoes, sliced red peppers and a handful or two of whole cherry tomatoes. Dose liberally with olive oil or butter, shave off some orange zest and sprinkle with Malden salt (rosemary optional).